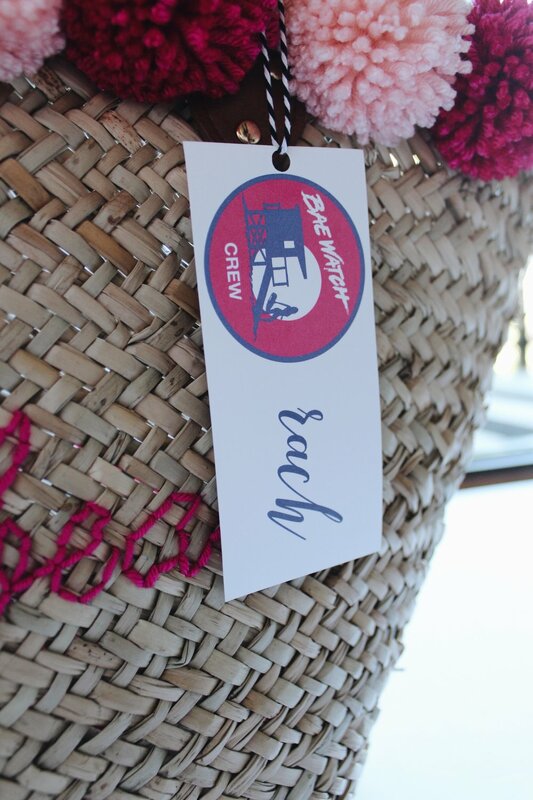 Last week I shared my DIY Custom Beach Bag post from Abby’s bachelorette party so I wanted to wrap things up by sharing the goodies that I included in each bag, plus the last couple of DIYs from Abby’s bach. 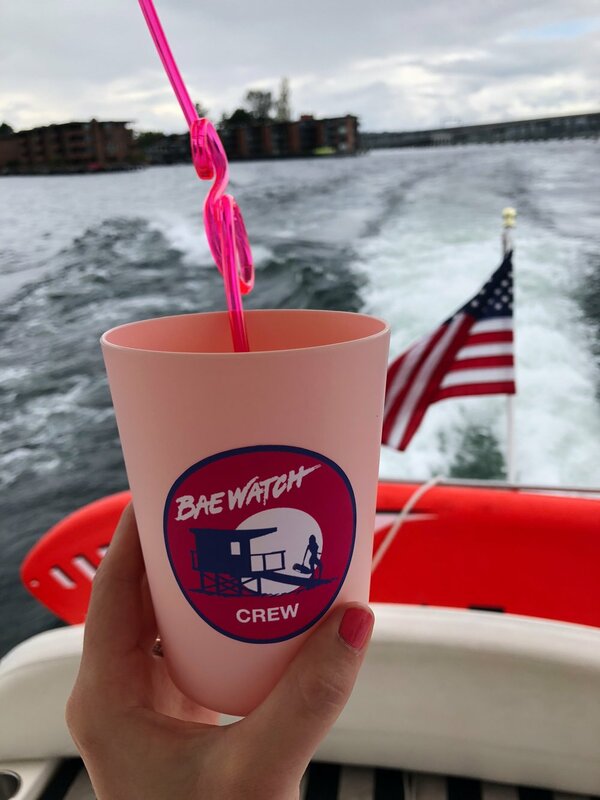 I loved the idea of customizing sweatshirts so I worked with Brand Land on Etsy to customized a ‘Bae Watch’ logo which I used on the sweatshirts, DIY cups, and DIY bag tags. I had the sweatshirts printed by Custom Ink and love that they had the option to put our last names on the back, such a cute touch! Slip sent over the most beautiful, soft scrunchies for the whole group which were a huge hit with the girls and something I’m still using constantly! 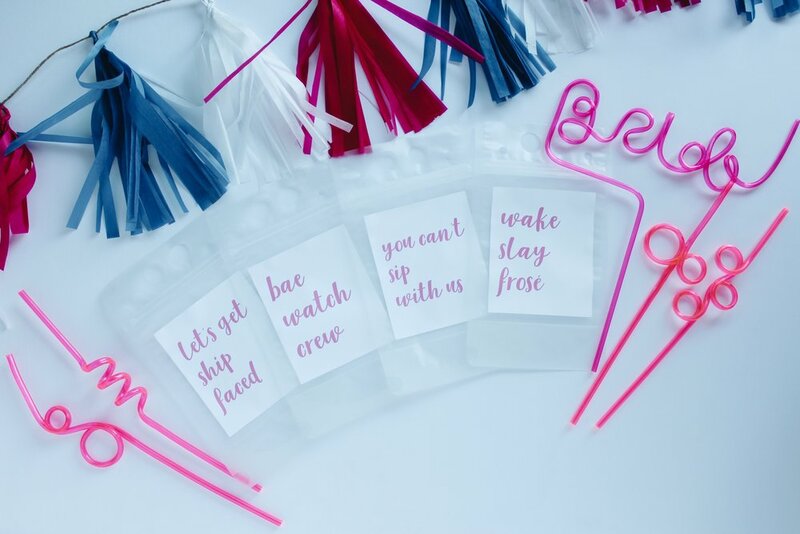 Since we were going to be on a boat, I purchased small plastic pouches customized with ‘Wake Slay Rose’ from Celebr8tions on Etsy to store our phones, keys, etc. For Abby’s bag, I added in a ‘Nauti Bride’ sash from ShadeOfPinkBtq on Etsy, the cutest Bridal Booty Veil by PersonalizedBootys on Etsy, and a ‘Bride’ headband from Amazon. 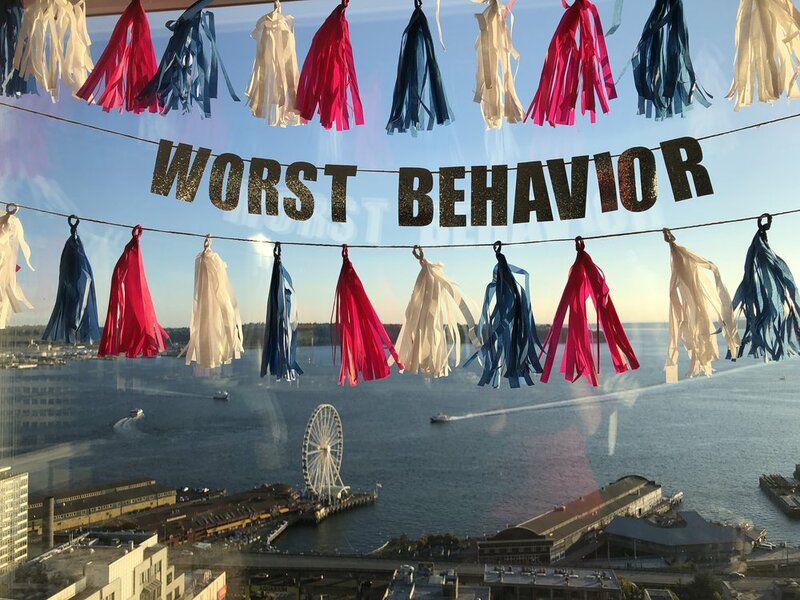 Lastly, I DIY’d tassels and a ‘Worst Behavior’ sign for the boat, and put together boat-themed frose pouches using directions from Studio DIY. Key learning lesson, put dry ice in your cooler to get a truly frozen rose and make sure the pouches stand up straight! We lost a few too many drinks in our cooler when we used regular ice and the pouches fell on their sides. 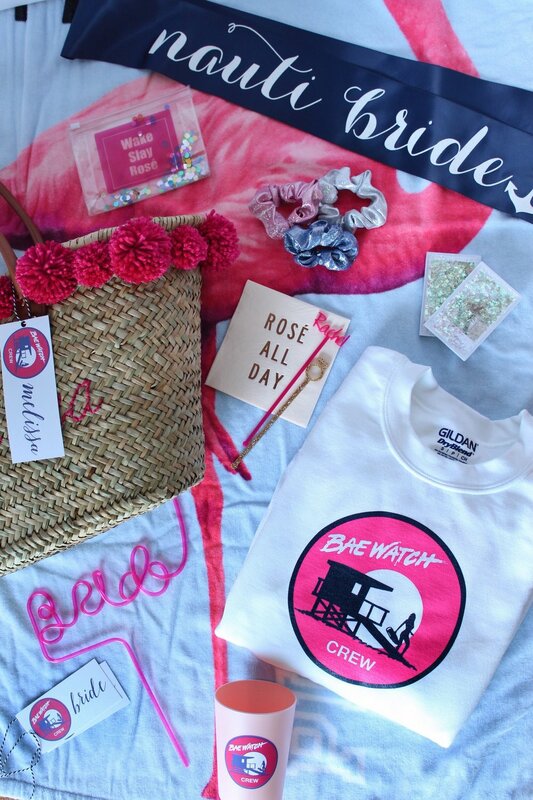 Check out all of the details from Abby’s Bachelorette in her full post here and don’t forget to follow along with us on IG @clockingoutblog or clicking the link below!